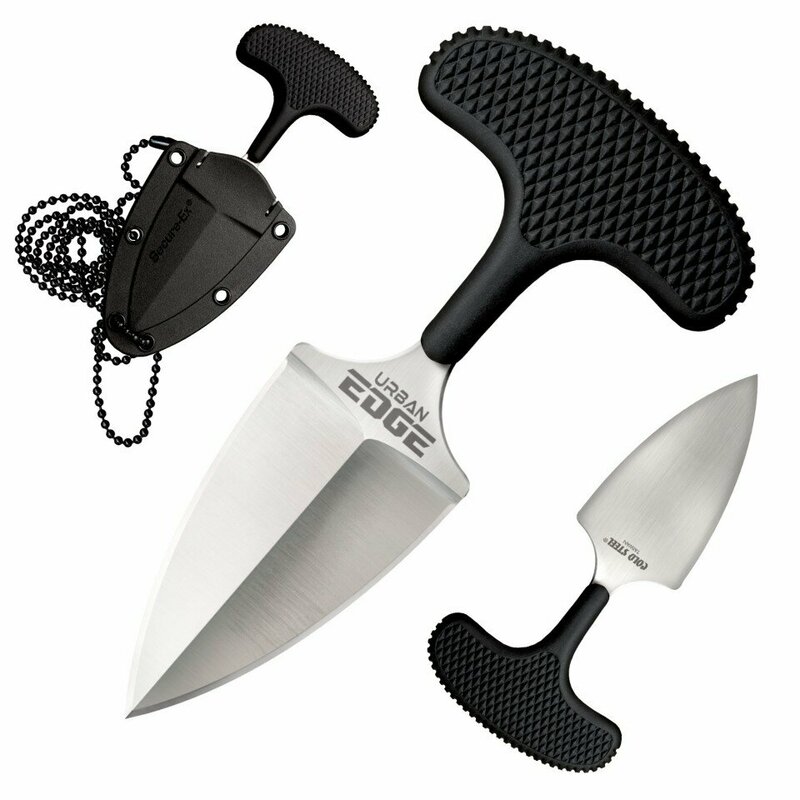 Cold Steel Urban Edge (Best Pal) Plain Edge(43XL) High quality Cold Steel knives, throwing knives, tactical knives. Cold Steel has been singing the praises of high quality push knives for over 20 years. A well-made push knife is a surprisingly versatile and useful everyday utility tool. Its secure grip allows the user to open their hand while still having full control over the knife. Many of our staff uses them regularly - opening boxes, pausing to sign for deliveries or type on computers or tablets – all without the knife ever leaving their hand! Light enough to be worn as a neck knife or hung from a key ring or a purse, but still packing enough cutting power to handle tasks that would challenge even some of our competitor's larger knives, the Best Pal also makes a formidable last resort self defense tool. Our first small-scale double-edged push knife, the Best Pal has one serrated edge for tough cutting chores and one plain edge for fine work. The expertly designed handle offers a secure and comfortable grip, padding the fingers when making big slashes and cuts. This awesome knife is complemented by our sturdy Secure-Ex™ sheath and a black bead lanyard chain.